Above is one of the new trinket items, which effectively replaces oracle elixir once it's upgraded to the greater lens. I see a lot of people using it to sweep wards and kill them, which, if you're in lane is definitely the best usage of it. However, a lot of people still aren't using it correctly on junglers. While you could effectively use it to help clear wards and then come back to gank later, it's better to simply DISABLE the ward from outside the range of vision, and run straight through to gank. 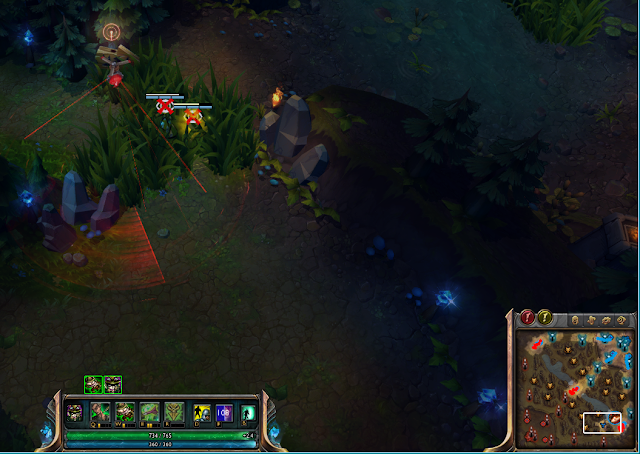 As you see here, the enemy sweeper (blue team) is placed directly in line of sight of the wards of purple team. Not only is it clearly on the map, but there are also two large X's showing that the wards are disabled. However, there's no actual change in vision, and nothing appears on the mini-map. 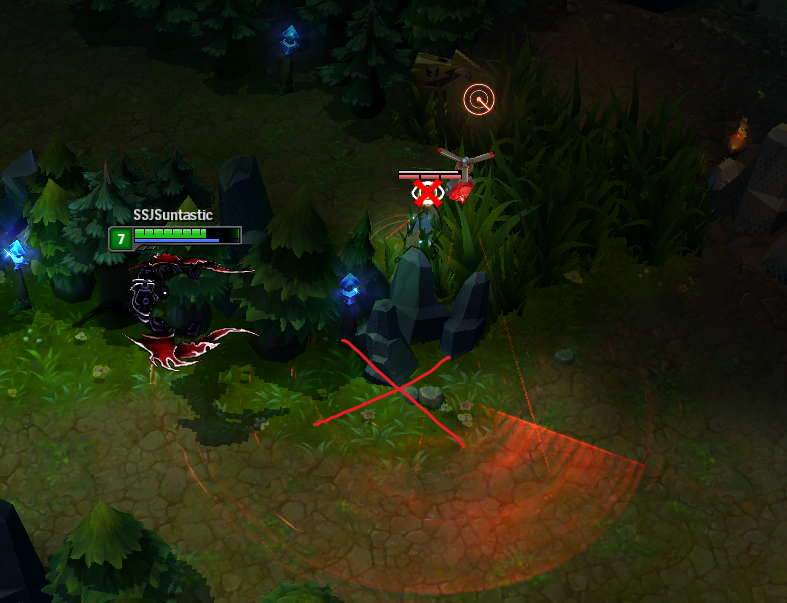 This means that if the enemy team isn't looking at that specific spot, they won't notice ANYTHING. In this second screenshot, you can see that the sweeper still has a "disabled" sign on it, but there's still no change in vision, and because the sweeper is placed behind the wall (See screenshot 3), the enemy team won't even see the disco ball floating around. This screenshot shows where I put the sweeper to avoid being seen. Basically it's behind the wall. Also notice that since the level 1 sweeper is kinda small, it might just be more worthwhile to just drop it directly into the bush and run through, chances are they won't see you coming anyway since everyone just watches the mini-map. 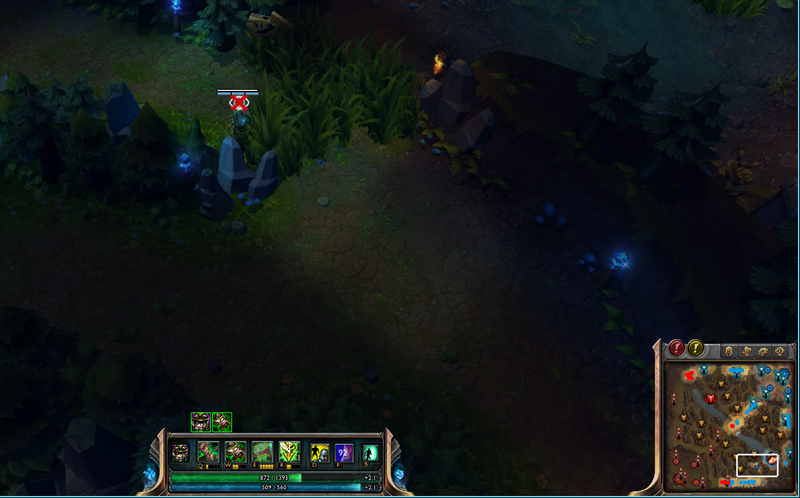 Note that even though they can't see you while the ward is deactivated, once you start attacking the ward, you'll show up on their mini-map, and they'll obviously also notice their ward just got destroyed. Comments on using the sweeper? Learned something? Post below! how long is the duration? and what about ganking mid lane (the range isn't that high) and the fact that they trimmed the banana brush leading to the mid lane river brush, it'd be harder to not be seen.